Additionally for us, keeping a fresh approach to our service means always looking for ways to use technology to make the entire process of booking a cleaner simple and easy for all. And our dedication to this innovation is greatly translated with the latest version of our mobile app. With our various payment options, including instant EFT/iPay and credit card, you can now also pay via SnapScan. We’ve also made it even easier by allowing you to buy SweepCred via our mobile app for “cashless” transactions. We always strive to make our booking system easy and effortless, much like the upkeep and cleaning of your home and our app now allows you to edit your booking in a flash – from changing the date and time to selecting a new SweepStar. Another exciting feature to our app is the ‘leave a note’ feature. This feature allows you to leave any special instructions for your SweepStar, on the app. This function is also great to utilise for any last minute messages from you to your SweepStar. You’ll be able to track your booking using the app and stay updated on the transit and work in progress of your SweepStar. You’ll even be notified once your SweepStar has begun their journey, arrived at your home and completed the clean. Saying “Job Well Done” is also super easy. Upon the completion of your booking, you’ll receive an email, encouraging you to rate your SweepStar. 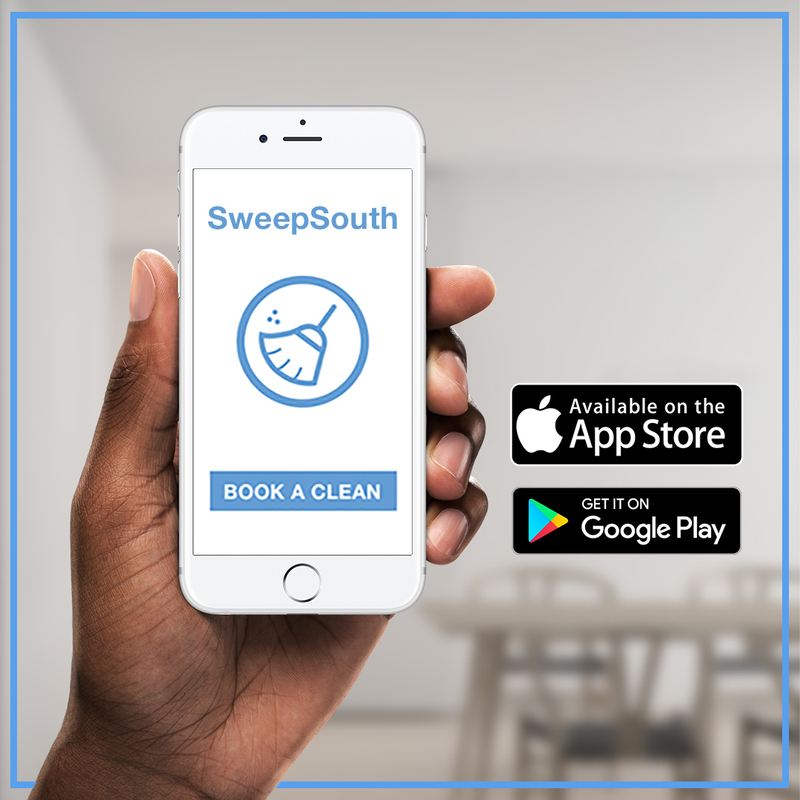 Although tipping your SweepSouth cleaner is not mandatory or expected, it’s become evident that many of our generous customers wish to reward great cleaning, so we’ve given you the option by enabling tipping on the SweepSouth app and website. Based on your rating you will also be able to tip your SweepStar at any stage after your booking. For convenience at your fingertips, update or download the latest version of our mobile app today and start your journey to a clean and spotless home.